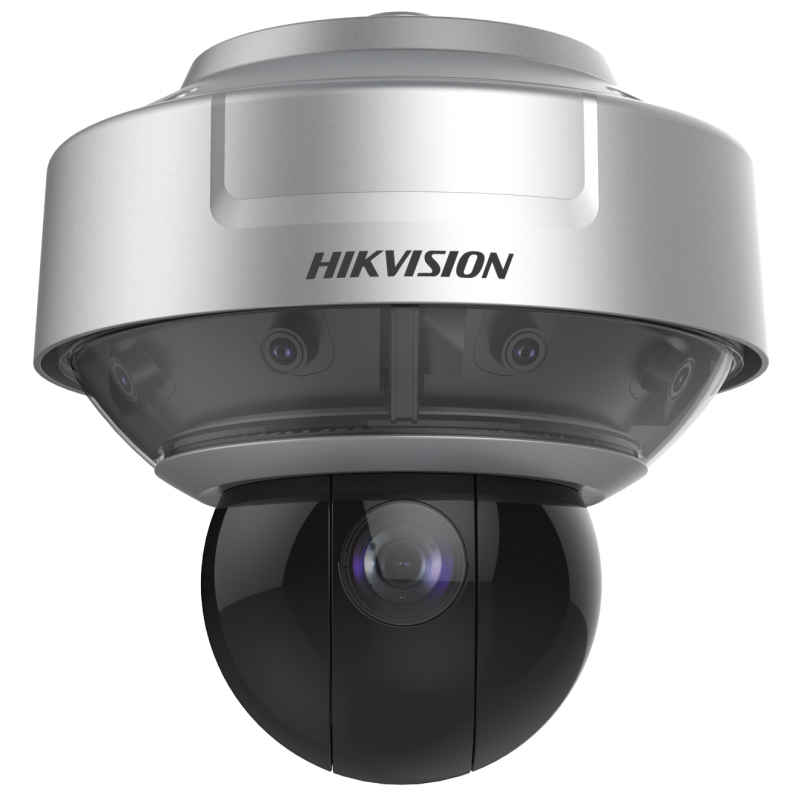 Hikvision DS-2DP0818ZX-D/236(5mm) PanoVu Series 180° Panoramic + PTZ Camera, is able to capture panoramic images as well as close-up images to give consideration to both panorama and details. 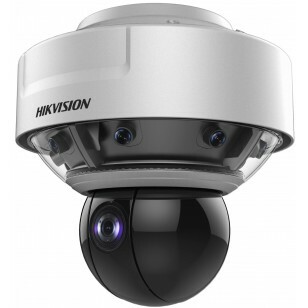 The panoramic images are captured by four sensors, which could realize 180° panorama monitoring. The design of integration model and high speed PTZ can offer the function of fast detail positioning over panoramic area. Furthermore, with its advanced video analysis and multiple targets tracking algorithm, PanoVu camera also features a wide range of smart functions for multiple targets within the panoramic view filed, including intrusion detection, line crossing detection, region entrance detection, and region exiting detection. The camera could also output alarm signals to link the PTZ for tracking, benefitting users with great improvement on security efficiency.